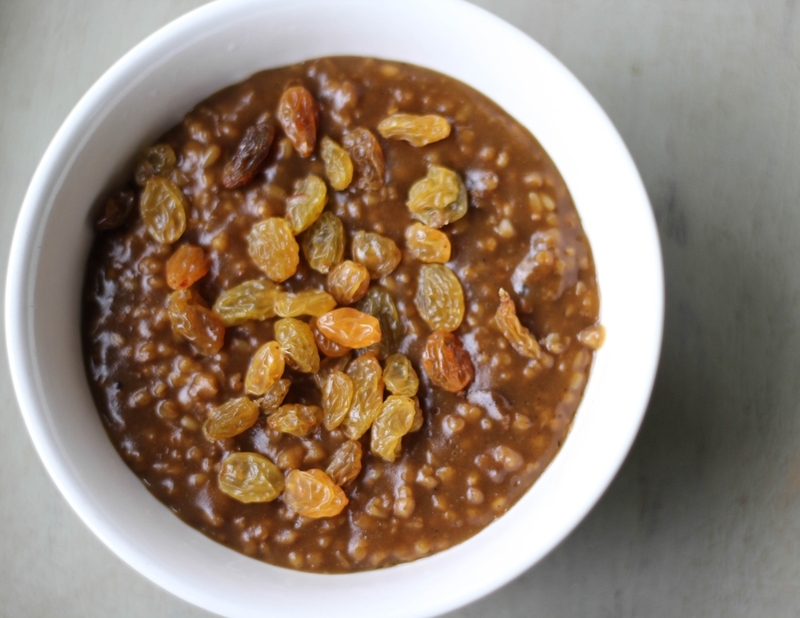 If ever there was an oatmeal that was juuuust right, it's this one. With some foresight, you can build it the night before and set it in the fridge--pot and all. Come morning, you'll be cozying up to a bowl as soon as your coffee's ready. And with all of the elements of a self-assured gingerbread (to say nothing of a mouth feel as plush as babies' earlobes), it's downright covetable. In a large saucepan, combine the brown sugar, molasses, salt, fresh ginger, and spices with 6 cups of water. Bring to a boil over medium-high heat. Stir in the oats, returning to a boil. Turn down the heat and simmer for 1 minute. Remove from the heat and let the mixture cool to room temperature in the pan. Tuck the covered pot into the refrigerator before retiring. Rouse the oats from their slumber with a gentle stir. Bring them, covered, to a boil over medium heat. Uncover and cook, stirring often, until the liquid is mostly absorbed and the oats remain al dente, about 10 minutes. Remove from the heat, letting the oatmeal rest, covered, for 5 minutes. Top with the amount of raisins, nuts, fancy finishing sugar, and half and half as you deem fit.